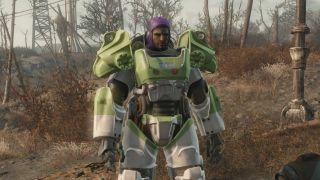 If you want to get started with Fallout 4 mods early, you ought to tell Bethesda. The studio announced that its next beta will be for testing mods on Xbox One, letting users try out the new official interface for browsing and installing fan-made tweaks to the game on console. Beta sign-ups are available on Bethesda.net's dedicated beta page. You'll need to make a Bethesda account if you don't already have one, then answer a few questions about where and how you play the game before you can join the testing pool. You can even browse through the mod selection right now if you want to plan your loadout ahead of time. Just sayin', you can't go wrong with Bullet Time.